HONOLULU — Elijah Oliveira-Kalalau knew the play was huge. 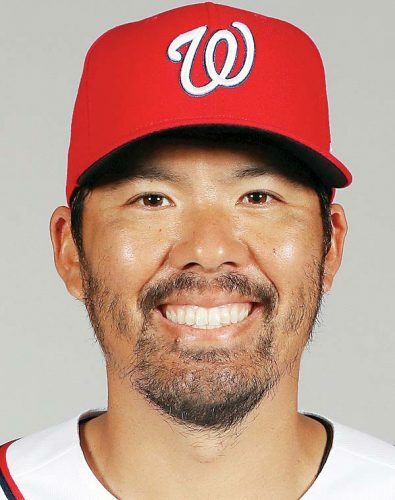 So did Philip Rapozo. 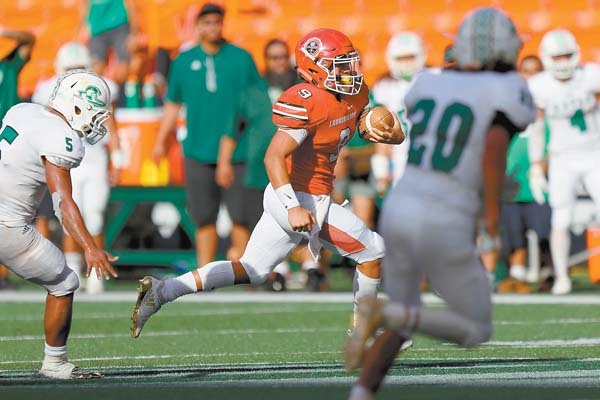 As Ryno Banasihan approached the end zone — with the possible knockout blow in sight — Oliveira-Kalalau and Lahainaluna High School football teammate Apakasi Felemi closed in. The pair of Lunas smacked Banasihan at the 2-yard line and the ball came loose. Lahainaluna’s Kaihulali Casco pounced on the key fumble and a comeback for the ages was on. Lahainaluna roared back from a 26-7 halftime deficit to beat Kapaa 34-32 in the First Hawaiian Bank/HHSAA Division II state championship game. It started with a 99-yard drive that began after the huge goal-line takeaway by the Lunas’ defense. The Lunas’ Sheldon Frias (left) and Kamalei Watson hold the championship trophy Saturday. Two plays prior, Lahainaluna quarterback Nainoa Irish threw his only interception of the day — Kapaa’s Kaiola Lingaton returned the pick to the Lunas’ 7. The Lunas defense gave up 32 points in 10 games prior to surrendering 26 points in the first half against Kapaa. In the first half, the Warriors piled up 256 yards on 24 plays, an average of 10.7 yards per play. In the second half, the Lunas limited the damage to 85 total yards — 56 of which came on the final desperation Kapaa drive after Lahainaluna had taken a 34-26 lead — and just 4.3 per play. Still, the crucial goal-line takeaway — Felemi was officially credited with the forced fumble — loomed large in the end. Banasihan ran for a game-high 197 yards on 25 rough-and-tumble carries. Lahainaluna quarterback Nainoa Irish runs with the ball during Saturday’s state championship game. 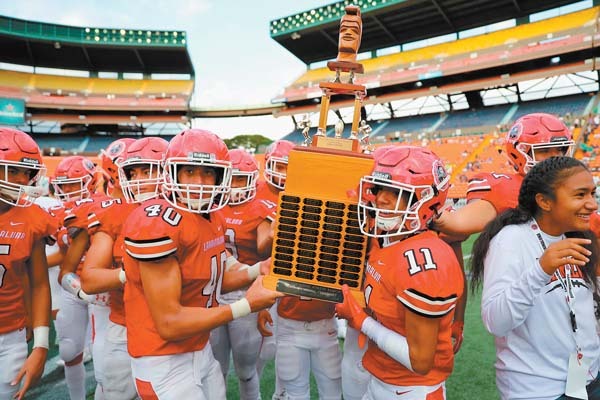 The Lunas have won 21 straight games and are one of three teams in Hawaii history to win three straight state football crowns in any division — Iolani (2007-12) did it first and Saint Louis joined the party with a 38-17 win over Mililani in the Open Division final on Saturday night. 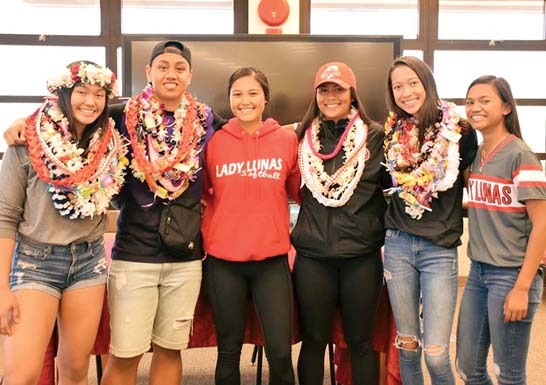 According to Stacy Kaneshiro of scoringlive.com, the Lunas (11-0) are just the sixth Maui Interscholastic League team to finish a season undefeated overall, the first since Maui High went 9-0 in 1995. The 1944 Lunas finished 7-0. While he said to The Maui News at practice on Monday that “we would love that challenge,” Lahainaluna co-head coach Garret Tihada said after the game that no work on moving up to Division I for 2019 has taken place. The Lunas will say goodbye to two-way starter Kamalei Watson, as well as fullback Sheldon Frias, wide receiver Kawehi Gillcoat, offensive linemen Ikaika Viela, Joshua McCoy and Tausinga Hafoka on offense. Lunas running back Jesse Dudoit carries the ball Saturday. 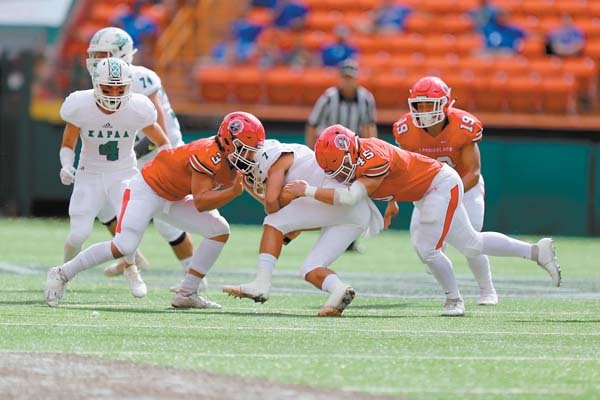 The vaunted defense that gave up just 109 yards per game in MIL play saw seniors Watson, linebackers Etuati Storer and Nyles Pokipala-Waiohu, and Felemi and Oliveira-Kalalau on the defensive line play their last games in a Lunas uniform. 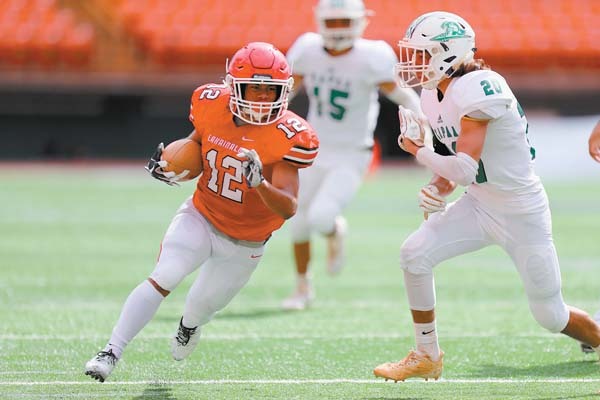 Back next season on offense will be Irish, running back Joshua Tihada — who already owns the state tournament record with 14 rushing touchdowns — dynamic wide receiver Kai Bookland, center Hookipa Sakaila and right tackle Taai Galoia. Galoia, a 6-foot-1, 305-pound sophomore, will be the only non-senior among that group. On defense, Casco, cornerbacks Brysen Rickard and Tre Rickard, linebackers Devon Sa-Chisolm and Nainoa Kulukulualani-Sales, and defensive lineman Tuipulotu Lai all return after starting Saturday. Derek Perez, a junior who scored what proved to be the championship-clinching touchdown on a 23-yard run with 4:05 to play, is another weapon who sees significant time on both sides of the ball. 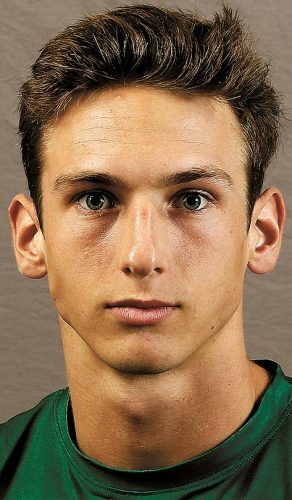 “Our defense was just holding it down second half, I’m just proud of that,” Perez said.